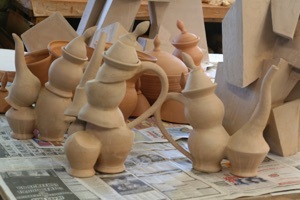 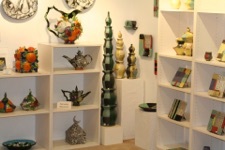 Indigo Street Pottery was established in 2002. 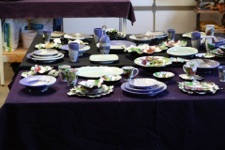 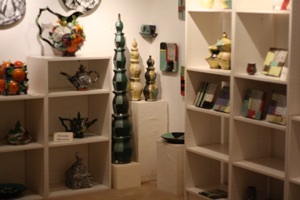 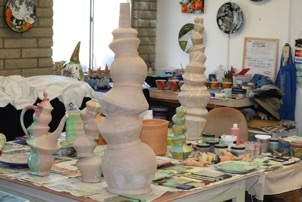 It is the home studio and showroom of Jeff Reich and Farraday Newsome, husband and wife ceramic artists. 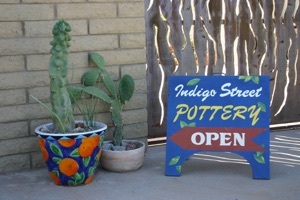 Indigo Street Pottery is located in the Sonoran desert city of Mesa, Arizona. 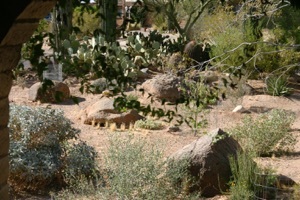 From their home, they look east to views of the Superstition and Usery Mountains. 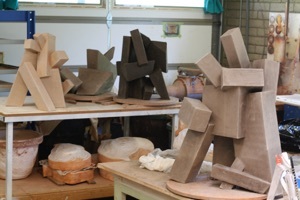 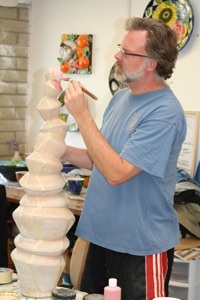 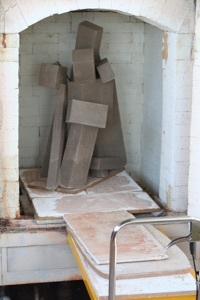 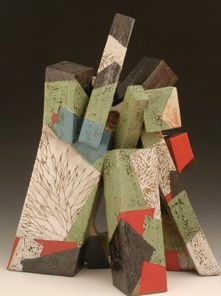 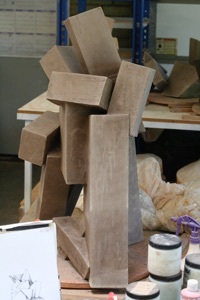 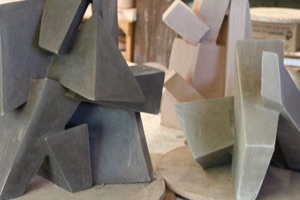 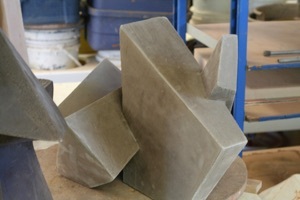 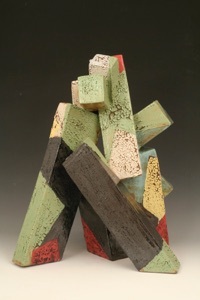 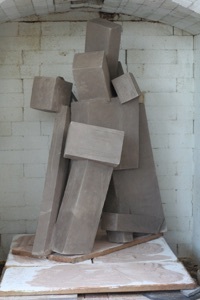 Jeff’s work tends to be sculptural, with an architectural approach to space. 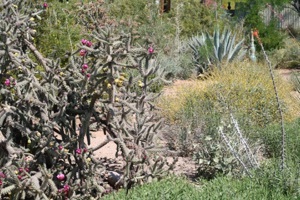 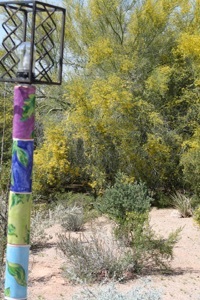 His surfaces are painterly abstract color field, with some interspersion of desert botanical imagery. 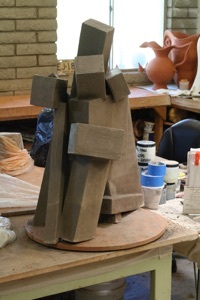 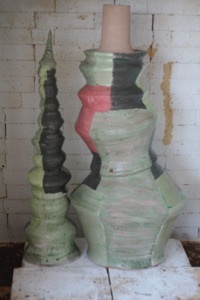 He uses a cone 10 black stoneware clay and reduction high-fires in their gas kiln. 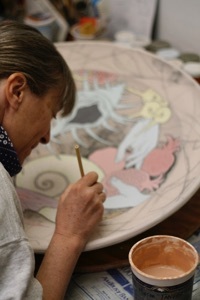 Farraday’s work is vessel oriented. 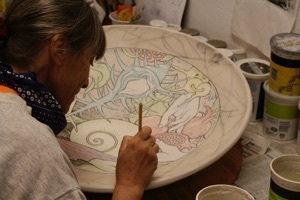 Many of her forms incorporate high relief surface imagery. 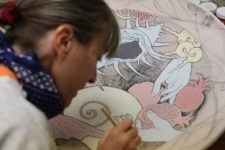 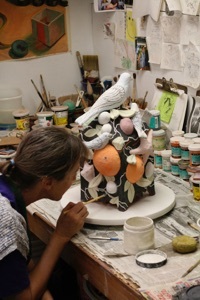 Her painterly work is image-driven, with subject matter drawn primarily from the natural world. 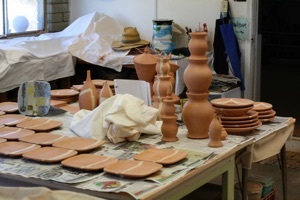 Farraday uses red terra cotta clay and fires in an electric kiln. 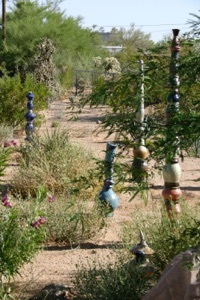 Visitors are welcome year-around, with a phone call or email to set up a time. 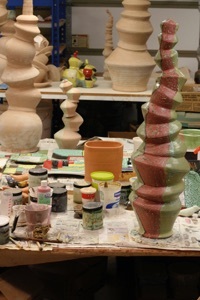 Also, Farraday and Jeff have an annual Holiday Open Studio Sale every December, and are on the annual Arizona State University Art Museum’s Ceramic Studio Tour, which is a free public event every spring.